There are about 1,000 twisters every year in the United States, and most of them, go figure, happen in an area known as Tornado Alley. It’s loosely defined as the area from Rocky Mountains to Appalachians. Why this region? It’s the meeting place for cold dry air from Canada and the Rockies, warm moist air from Mexico and hot dry air from the Sonoran Desert. Most tornadoes last about 10 minutes, but the longest one in history is thought to be the Tri-State Tornado of 1925, reported as lasting 31/2 hours. It was the deadliest tornado in American history, killing 700 people in Missouri, Illinois and Indiana. 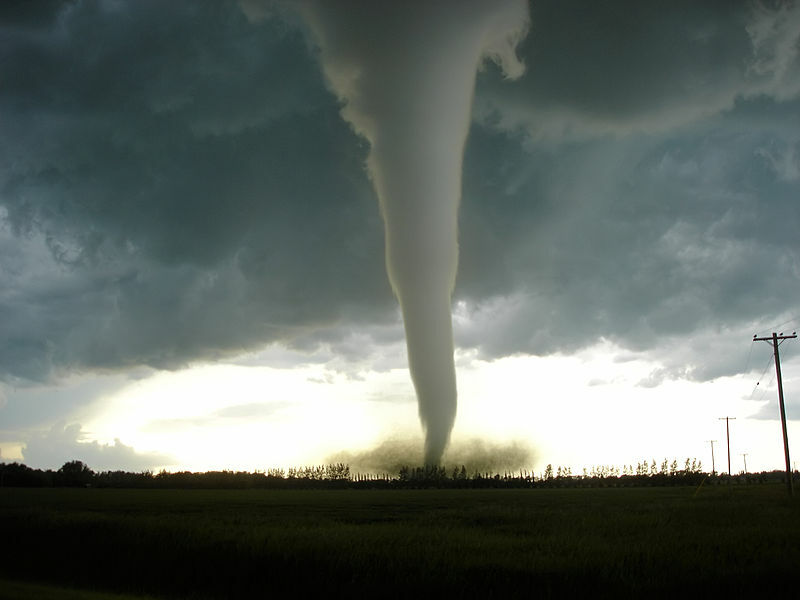 It travelled twice speed of an average twister, 60-70 mph, and…perhaps the most terrifying fact ever mentioned on Sound Beat, it didn’t have a funnel cloud. Translation…it was nearly invisible.